The Friends of Europe Nagyçenk Association was founded in 2011 by some enthusiastic inhabitants of Nagyçenk. 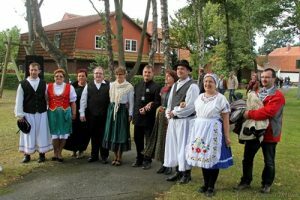 The main aims were to help the community with all possible ways, to shake up the cultural life of the village, to make the citizens more involved, to help the EU Charta events, to support the youngsters and the students. In 2013, we won two Leader Projects, and from these projects together with the local government; we managed to rebuild an old house and create a new community centre. 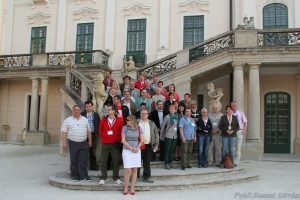 The target is to fill the house with a lot of attractive cultural events (concerts, exhibitions, folkdance/music festivals, traditional events…). In 2015 a Youth Meeting was hosted in Nagyçenk and this building was the headquarter of the meeting. 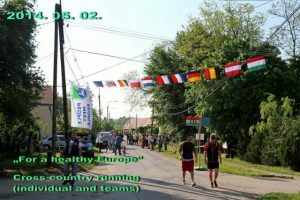 It´s a tradition now that every year on 09.05. we celebrate the Europe Day with organising a European Mini Marathon which is a cross boarder event between Hungary and Austria. The participants run a big circle from Nagyçenk to Deutschkreutz and back. 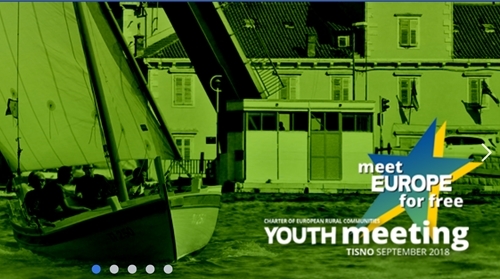 We have attended several EU Charta meetings, we visited Hepstedt in 2013, they visited our harvest festival in 2014. We were in Cissé in 2014, they were our guests in Mai 2015. In 2015 we represented Nagyçenk at the Beerpump Festival in Esch. We have a really good relationship with Ibanesti and Kandava, every year we have traditional dance festival where dancers from Romania and Latvia are our guests. 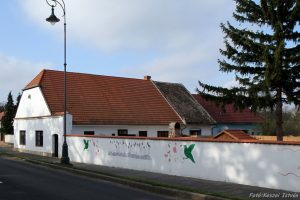 This year we applied for the Visegrádi Found together with Strzyżów, Starý Poddvorov and Medzev for a cultural project…waiting for the results. We organise every year a mascarade ball to raise money for a good aim to support the kindergarten, the cultural house or other associations. At the moment, the Friends of Europe Nagyçenk has 35 active members. We try like to be an active member of our big European Family. See you somewhere in Europe!